It would be my contribution to Norm’s Thursday Doors – March 31, 2016., but alas, I was too late. The peek is really interesting. It looks like a mirrored panel or a garden door with a view. Thanks for sharing this bright red beauty! Since I missed the deadline I thought about posting it next week. Do you remember that place? We were there together in Philadelphia. This is just lovely Sonia! Like something out of Alice in Wonderland! 🙂 Delightful capture thank you so much for this post. It is just soul-refreshing! What a unusual and interesting door! Did you say this is in Philadelphia? There are a number of beautiful doors there. 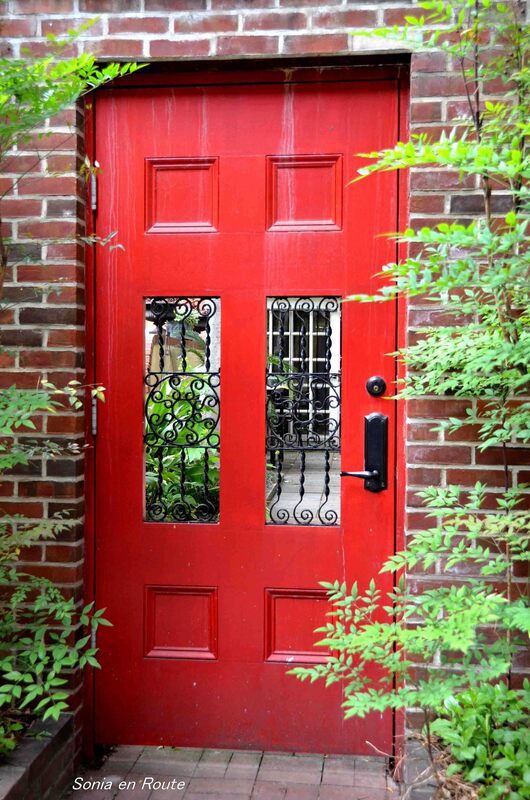 What a fabulous red door!